The Nigerian Meteorological Agency has predicted cloudy weather conditions over the Central States of the country on Sunday morning with chances of isolated thunderstorms over most cities in the region. NiMet’s Weather Outlook by its Central Forecast Office on Saturday in Abuja also predicted isolated thunderstorms over most parts of the region during the afternoon and evening hours. It added that the region would have day and night temperatures in the range of 25 to 31 and 17 to 23 degrees Celsius respectively. The agency predicted that the southern states would experience morning cloudiness with chances of isolated thunderstorms over Obudu, Ikom and Ogoja with isolated rains over Ikeja, Ijebu-ode and its environ. 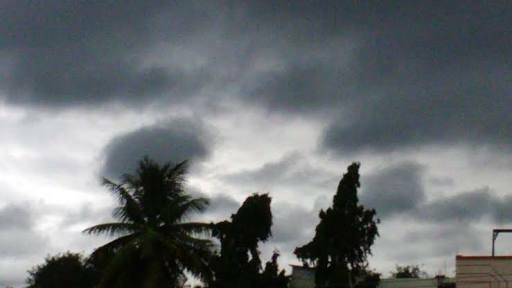 It also predicted prospects of isolated thunderstorms rains over the southwest coast during the afternoon and evening with day and night temperatures of 28 to 31 and 20 to 23 degrees Celsius respectively. According to NiMet, northern states will experience thunderstorms over the northwest with chances of cloudiness over the northeast during the morning hours. NiMet predicted: “Later in the day, isolated thunderstorms are likely over most cities with day and night temperatures of 29 to 36 and 20 to 24 degrees Celsius respectively. “The position of the ITD is presently located in Niger Republic keeping Nigeria under the influence of moist winds which are favourable for thunderstorms over the North and Central cities. In Lagos State on Saturday, it rained most part of the day, with flood overrunning most of Lagos Island.